A performance 4 buckle men's ski touring boot designed for the descent but still great on the Ascent. The Synchro is a new introduction to the La Sportiva line up for winter 2017 / 18. Based on the Spectre 2, the Synchro has been fine tuned for the descent by reinforcing the shell in critical areas to reduce unwanted flex and hence improve power transmission and by redesigning the tongue which stiffens whilst in ski mode but articulates when in walk mode. Along with these improvements to the shell design, the Synchro has a beefed up elasticated power strap to stiffen up the cuff whilst maintaining a progressive and lively flex, the buckles have been tweaked to make them easier to use and they have also been given a solid wrap around thermo formable liner to give a secure fit. With all these improvements to the ski performance, what about the touring functionality of the Synchro? Well the Synchro is still a great touring boot, the changes to the shell haven't affected the range of motion of the Synchro in walk mode, the new tongue helps with this too. The weight has increased by 150 grams per pair so whilst they are slightly heavier it's not a major increase. So if you are a ski tourer who still likes hard charging on the descents, the Synchro could be the boot for you. 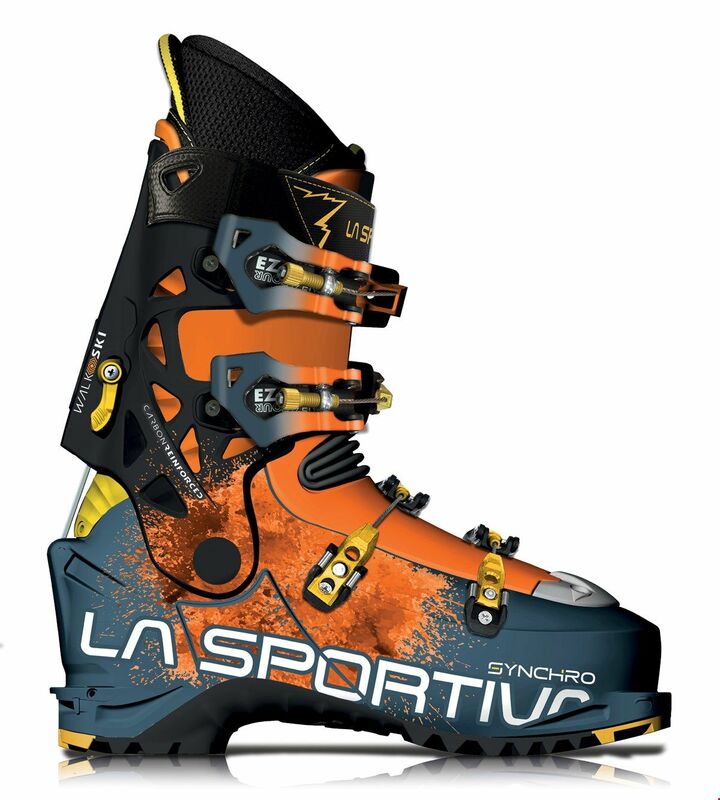 We strongly recommend that the La Sportiva Synchro boots are fitted with a supportive foot-bed and custom fitted by a skilled boot fitter. Please call 01943 816011 or email info@backcountryuk.com for an appointment. All ski boots fitted by us carry a boot fit guarantee.